Building your brand is a multi-layered process, comprised of contrasting colours, careful kerning, and of course, captivating content. Yet while much of the focus is placed primarily upon aesthetic aspects, it is vital to remember that when it comes to creating a fully fleshed-out brand identity, the voice is every bit as important as the visuals. Now, many will tell you that creating quality copy is an art, and this may well be true. Yet as every artist knows, the greatest works are often a combination of accident, originality, and a dash of inspiration. What I’m really trying to tell you here is that writing copy for your brand need not be a masterwork, or mammoth undertaking — it’s simply the expression of who you are in words. Copy that shines comes from the heart, from the same place you found the inspiration for your original idea. Brilliant branding requires personality, and that personality is defined by your copy. It is the first real engagement with a customer, and it is your point of contact at every stage of the sales process. Trust is founded in familiarity, and to foster that sentiment your brand needs to engage on a personal level with each customer. It needs to speak to their interests, and answer their questions before they need even to ask them. Consistency is also critical if you hope to foster that feeling of familiarity on which your branding endeavours hinge. For your customers to recognise the voice of your brand as such, it needs to be consistent across all media, from your email marketing, to your on-site copy, and even throughout your posts on social platforms. A little daring here and there can work wonders for your branding, as Wendy’s has demonstrated on countless occasions. 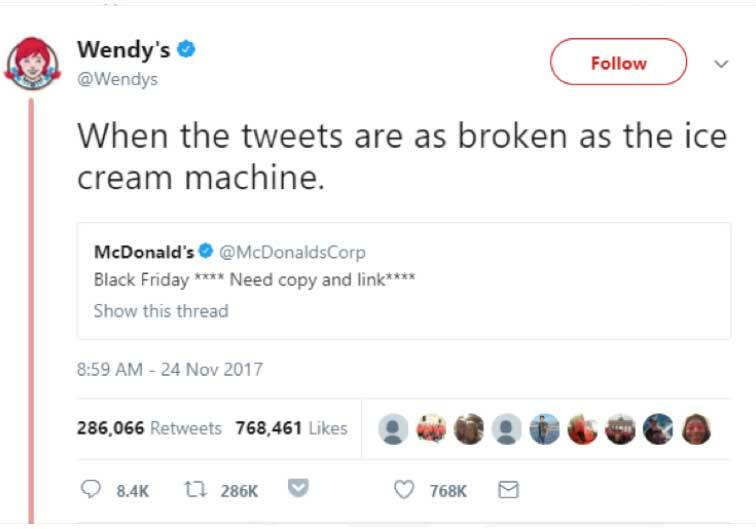 The fast food chain has a flair for social media sass, responding to Tweets with on-point burns and up-to-the-minute memes, with tremendous success. This has become more than simply stylistic, and is now recognised as the personality of the brand itself. The sweetly-smiling logo only serves to reinforce the impact of their carefully constructed repartee. However, acerbic wit takes great precision and awareness to pull off successfully, and missing the mark could be devastating for your brand. Think carefully about how you want your brand to come across, and weigh the tone of your copy against this aspiration. For example, the tone that works so well for Wendy’s could be disastrous if used by a business that required great sensitivity, such as financial advisory service, or a primary care provider. Consider your audience, and how you wish your brand to appear to them; from there you can begin to create copy that connects with their needs, and ultimately converts. Not all content you share will be your own, yet even in content curation, you can select items that fit in with the personality you have created for your brand. In addition, you should always append these items with an insight or observation of your own. This adds value to the existing content, and avoids the trap of appearing unoriginal, uninformed, or lacking inspiration. Your keywords, of course, are also important. You’ve almost certainly already optimised your SEO around a few key words and phrases, and these will inevitably be laced throughout your headlines and subheadings as well. It’s important that you balance lengthy copy with great visuals and design elements — especially on high-value pages like product pages. SEO inevitably ties in with your branding efforts as well. After all, your keywords relate to your chosen niche, and nothing really defines your brand more than the niche itself. As such, the words you pepper throughout your web pages will ultimately form part of your brand’s identity. With this in mind, consider ways you can work those words into other areas of your copy, and enable them to form a more impactful part of your branding endeavours. It’s not just about what your copy says, but also how it looks. I know we already covered the aesthetic element, but it is still important. The impact of clever copy is exponentially amplified by adroit presentation. Consider the placement of your calls to action, the size and style of the typefaces used, and even the colours of the fonts and their backgrounds. Choose whether your design elements will be contrasting or complementary. Think about what you want you readers to read first, and where you would like their eye to travel next. All of these elements come into play when designing any element of your website, or external content. Make everything count, and consider how each element contributes to the vision you have for your brand’s final form. Not just the wording, but how it is presented upon the page. 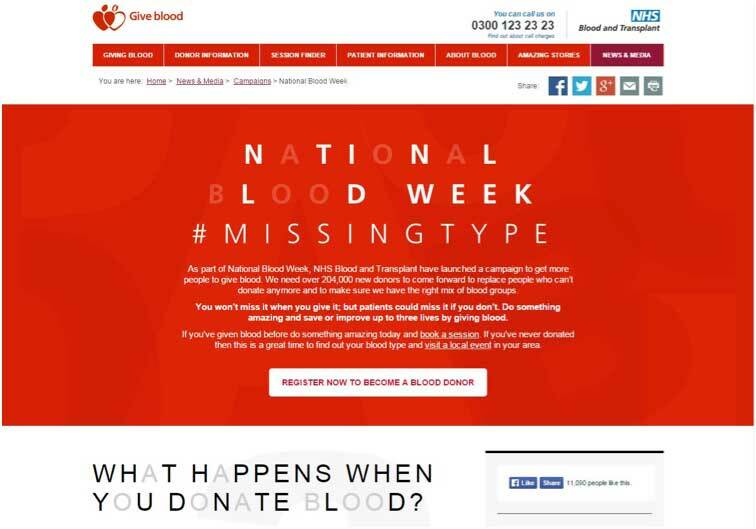 The NHS nailed this with their campaign for blood donors. The missing letters not only make the ad eye-catching, but drives home the point of the message itself. They’ve even worked in a nice little play on words to round it all off. Creating quality copy to underpin your branding efforts does not need to be a daunting endeavour. You already have all the tools you require to set the wheels in motion. No one out there knows your brand better than you do, so find that voice, and put pen to paper. Once you have settled upon a style and tone that is satisfactory, the next step is to teach that voice to the rest of your team.The chances are that you won’t be the only one handling copy, and as mentioned earlier, it is important to remain consistent across all avenues of communication. The early days will require a little extra effort, but all that work will be more than worth your while, once you have fleshed out your brand’s identity, and introduced it to your intended audience. Over time, this voice and the copy you create will become steadily more recognisable to fans of your brand, and even those outside your customer base. This reach in turn will help to increase the authority of your brand, with long-term benefits for its growth and sustainability in the ever-demanding world of digital marketing. Written by: Victoria Greene, a branding consultant and freelance writer. 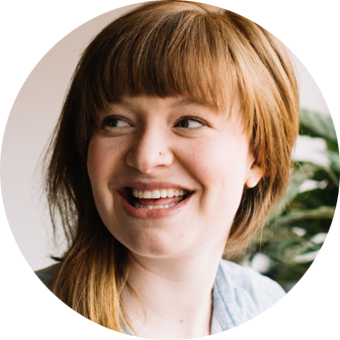 On her blog, VictoriaEcommerce, she shares tips on ecommerce and marketing — centered on how companies can improve the way they represent their brand online. She’s a big fan of social media marketing…and her pet dogs! This entry was posted in Branding and tagged brand, content, copy.